Advertising, branding and marketing- One stop solution for all your needs. Product or service advertisement. Branding and communication of corporate identity. Marketing strategy and planning. We never forget the basic rule of creating a logo that it must be unique and different from others without carrying any imitation. Our team strives hard to make logos like Yahoo, Nike and other established brands. A business that runs independent of its natural winning traits will forfeit or destroy value very quickly. EQUiTOR’s Concerto program which is pivoted around the firm’s Think Book ensures that the entire organisation structure is completely aligned to the drivers of your reputation. How a brand is perceived or received by the consumers is entirely dependent on the brand message & design that is put across in front of them. In a globalized world with no dearth of competing brands, the only way to grab the consumer’s attention is through brand message that is creative, uncomplicated and to-the-point. Our company has achieved milestone for providing Branding Designing Service to the clients. Branding Designing Service is rendered as per the exact needs and specifications of our clients, we also lend customized solutions. We use latest techniques keeping in mind the set industry standards. At Creazeal, we design graphics with a marketing perspective. Our creations are not only visually appealing but they also satisfy the marketing goals of our clients. We develop the unique brand identity that cleverly represents your brand across all touch-points and makes you standout. Crafting the brand identity, that works for your business to get more customers. We like adding more value to your business with our creative products. We don't stand back when it comes to creative work. You can witness it with our collection of products that we have showcased here on our website. Romanticising brand experiences through smart visual merchandising programmes. We offer a holistic approach to creating brand experiences. Brand experiences transcends through spaces, products and communication material. TLV Packaging Solutions Pvt. 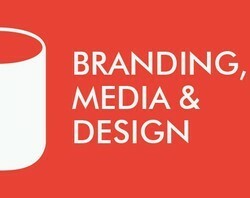 Ltd.
We do design and develop brand identity for new businesses and for existing businesses. UXD is a bit different from your standard web design shop or development company. We design user experiences for your online presence that is memorable and has a positive impact on your brand. We are one of the leading service provider involved in offering Brand Promotion Exhibition Services to our most valued clients. This Brand Promotion Service comprises promotional activity in the public hub, like Malls, multiplex, Market area, Road Shows, Magic shows, games & Quiz shows, Distribution of pamphlets etc.